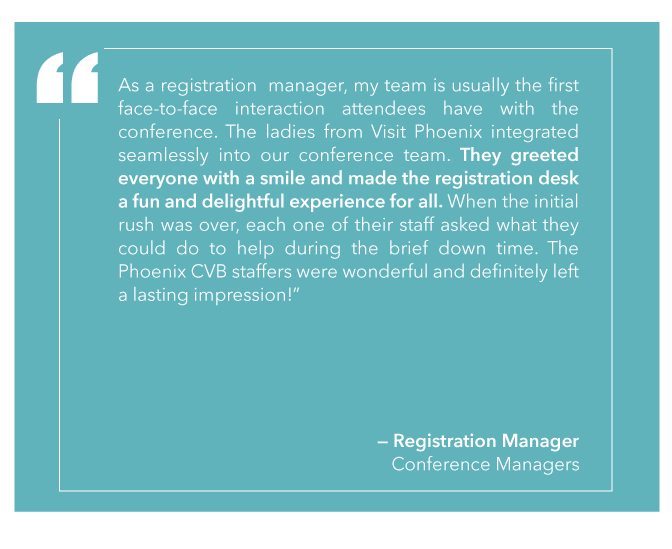 The strength of your reservation team makes a difference in the success of your meeting. 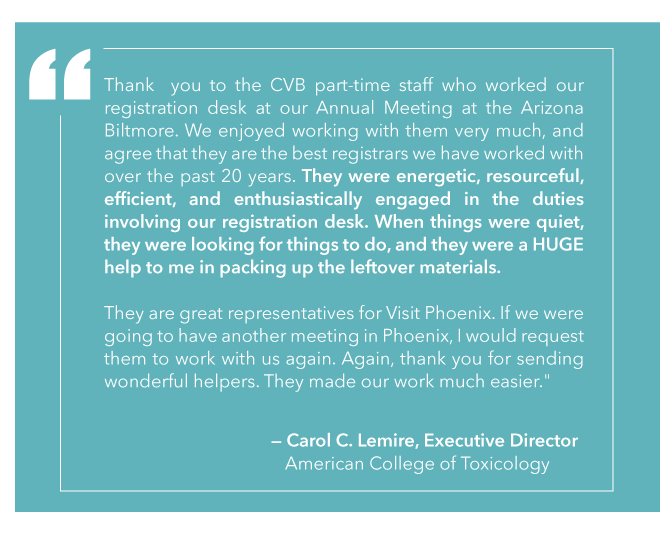 Visit Phoenix's registration team is a professional group of friendly, on-time and dedicated individuals who are ready to ensure your attendees are welcome and prepared. 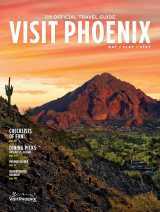 Please email an estimated schedule of your current registration needs or a staffing schedule from the previous convention year to our registration specialist, Linda Bowman, who will provide a cost estimate.